Artists release solo projects all the time, but not since Beethoven locking himself away in his secluded, candle-lit German castle to make symphonies has music truly been the product of one artist. In today’s era there are producers, engineers, back-up singers, session players and many more all contributing to the direction of a project released through the voice of one solo artist. 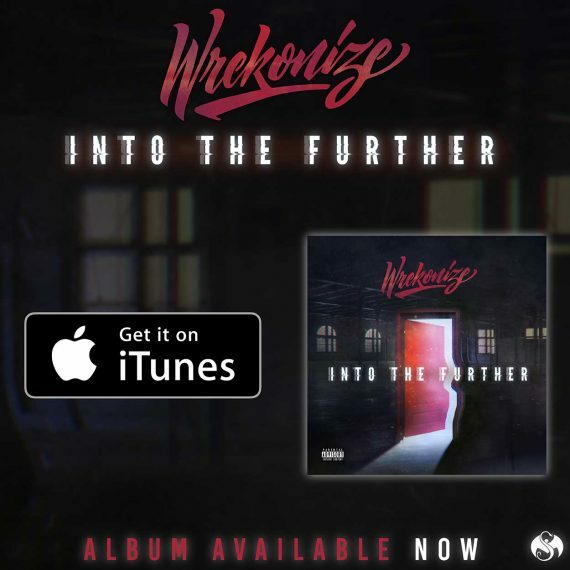 Wrekonize’s latest solo endeavor, Into The Further, does not host any guest spots, but between producers like Llamabeats, Beatnick & K-Salaam, and Numonics (just to name a few), Wrek had some help in bringing his vision to life. It should come as no surprise that, perhaps the biggest contributor not named Wrekonize, is his fellow ¡Mayday! frontman, Bernz. As proven by every ¡Mayday! release ever, the two have an undeniable creative bond so it’s only natural that, since they are such big influences on each other, Bernz impacted the development and creation of Into The Further. On the stat sheet, Bernz shows up as a co-producer of standout effort “Through The Rain,” but Bernz biggest contributions don’t show up in the credits. 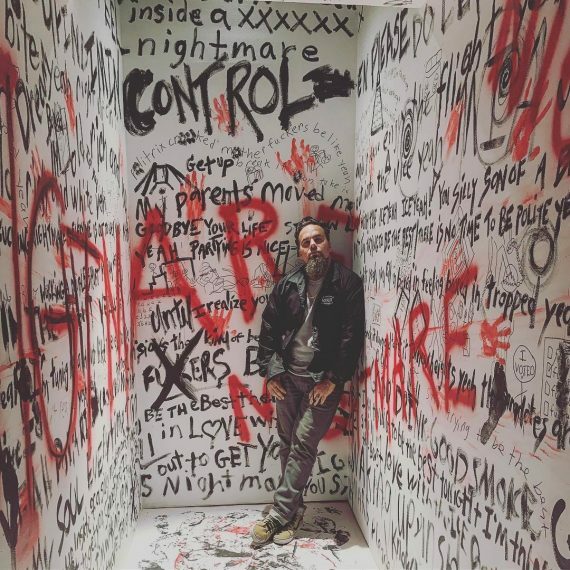 Between serving as almost a creative consultant to Wrekonize, knowing him so well creatively, and simply being around the Into The Further sessions, Bernz has a unique perspective on Into The Further; one he was happy to share with us in an exclusive interview. How involved were you in the creation of Into The Further? Did you have a specific role? I don’t have a specific role, I just helped make it all happen. Kind of like a producer would, obviously getting beats from other people and other things. So in a way just helping produce it or A&R the album for lack of better terms. And he’s shooting ideas off me as well. I’m kinda here to make Wrek look cool, that’s kind of my job (laughs). Making sure he’s hitting all the notes. By the time I hopped on the album he was already like 5-6 tracks deep because he was supposed to work on an EP prior to that. So some of those tracks ended up becoming part of this album. There was already a cool vibe to the album by the time I got there, so I pretty much just had to show up and help him make it amazing. Its always cool to see Wrek’s approach to people’s beats that normally we aren’t privy too on a ¡Mayday! album. Is there a song you heard that made you wish you could hop on it? The other song I really championed a lot on this album was “Only One.” It’s another beat from Chris Knox which I really love. I think it’s the best of Wrek; introspective, thoughtful, true emceeing backed with a cool hook. Those two tracks really stand out for me on the album. What separates a Wrekonize solo session from ¡Mayday! session? I would love to say there’s a big separation, but there really isn’t. We just come into work everyday and talk about what needs to be done that day. We’re just trying to make great music everyday. The approach really isn’t that different. The difference when it comes to Wrek’s music is that the final say is his. So I can only suggest things and at the end of the day he’s going to do what he thinks is right because its his voice and he’s the one accountable for his album. Whereas any other project is a little more split evenly and that’s really the biggest difference. Beyond that we just get it in everyday and try to make great records. You are credited as a co-producer on “Through The Rain” how did that song come about? I come in everyday and make some records. I like to make beats on my own a lot as does Wrek. Everybody in ¡Mayday! kind of produces on their own as well as together. It was just one that I had in the stash that I made with Danny Keys, who is dope producer. Wrek happened to like a beat that I made and we just linked up and did it. How did your own solo venture, See You On The Other Side help you contribute to Wrek’s album? What advice did you give him? I couldn’t give him any advice on that one. He’s been putting out solo albums before I ever was. He’s the one that gave me that confidence to put out my stuff, so there wasn’t much that I could really give him. His solo stuff has always been proactive and very motivated to make sure that his solo voice is heard. So there’s really not much to tell him. Suggestions song-wise or song ideas is really where my assistance comes in and when the product is done, I’m also the guy that comes in and helps with visuals and the mission statement. Now that you have heard the final product, what are your overall thoughts on the album? I think this is a really well balanced album. Personally it’s my favorite it terms of a overall album. Not to go track for track with The War Within or Soiree For The Skeptics, but, to me, the overall feel of the album as a whole, I like it the most. It feels light on its feet. I think its a good combo from what you want to hear from Wrek like–super rapity raps– and also what I like to hear from Wrek–cool hooks and melody and harmony and stuff like that. It’s got a cool balance of both, cool rapping, some heavy hip-hop, and also that other side- swinging for the fences and trying to make some timeless music. I think its Wrek’s best project to date. CLICK HERE TO PURCHASE INTO THE FURTHER ON iTUNES NOW!